I made homemade Apple butter and oh how wonderful my house smelled while it was cooking. I first made home made applesauce earlier in the week then took my applesauce and made Apple Butter with it. 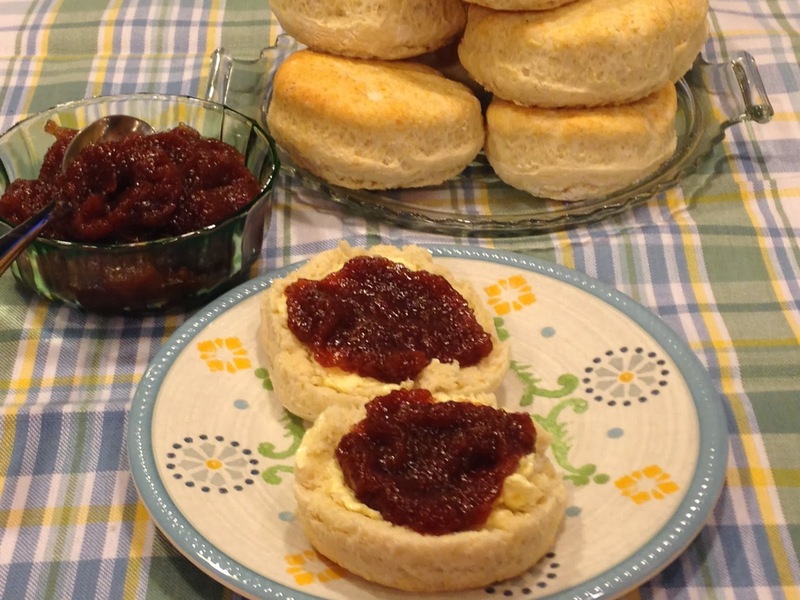 You can use either homemade applesauce or store bought applesauce to make this Apple Butter. 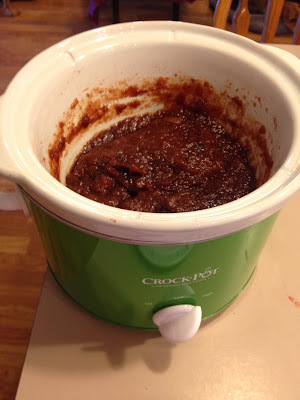 It is super easy, just put applesauce, sugar and some spices in the crock pot and cook on high until apple butter is done. It goes from being a really runny applesauce to being a darker color and very thick spread. While it is cooking you leave the crock pot lid off and the smell that is coming out of the pot is wonderful. place everything in the crock pot and cook on high with the lid off of the crock pot. Stir every once in awhile to keep the apple butter from burning on the sides of the crock pot. Cook for about 4 hours or until the apple butter is thick enough for your liking.